We think of Holmes as being a creature of the nineteenth century. The last we ever hear of him is just over 100 years ago—something we are reminded of in a rather harsh way by the centenary of the end of the too optimistically named War to End All Wars. (The few among the quick who read any of the Canon when it was first published are pushing, if not exceeding, their own centenaries.) So it comes as a shock to realize that the true Holmesian century was not the nineteenth, when he was created, nor the twentieth, when Holmesian studies began in earnest, but our own twenty-first. 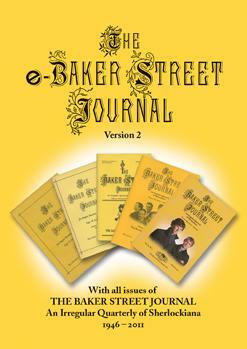 We are not thinking so much of the Sherlockian community as of the greater world beyond it. Surely these last eighteen years have been the most Holmesian period ever in the popular culture. Holmes has inspired television shows, movies, blogs, cartoons, songs, and endless books, so very many that attempts to tally them all would be futile. Why has this time become the Era Sherlockian? How do tales of a man immersed in logic and clear thinking appeal to a world mainlining chaos? Is it our need to be saved from ourselves? Every day, the news reminds us that the problems of Holmes’s world have not gone away; they have merely undergone minor tweaks. Crime continues; international disputes simmer (or boil); strongmen still rule countries. 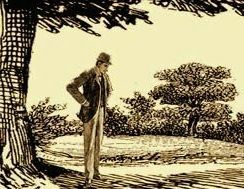 Sherlock Holmes, whose intelligence and hauteur render him the coolest character to ever grace a page, offers us the promise of grace—not just physical or spiritual but emotional and universal. Perhaps Holmes’s cool nonchalance is the cure for a rapidly heating world. The Editor’s Gas-Lamp, Autumn 2018, Vol. 68, No. 3.